As a young person in Wales you are the future of the Welsh Blood Service. 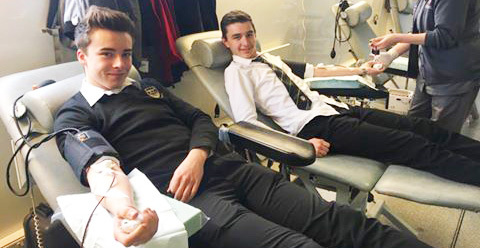 As part of our education programme we can visit your school or college to talk to you and your fellow students about the importance of giving blood. This will involve a 30 minute presentation, an opportunity for you to ask questions or raise any concerns and also discuss joining our Blood 4 Life Ambassador Programme. To become involved get in touch today!